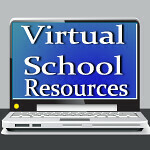 Virtual School Resources: TED Ed...bring it on! TED Ed (that's Technology, Education, and Design) is sweeping the web with videos about the arts, math, heath, literature, and a myriad of other subjects. TED's intention is to give teachers a supporting platform, with hopes that it initiates the desire to learn. At this site, educators can create videos for teaching. Videos students can watch at home, when they need them. Teachers can not only privately distribute the videos they make, but they can put them out for the world to see, and track how they impact viewers. That's powerful stuff. Flipped learning is another term that has recently gone viral. As a subscriber to many different education and tech blogs as well as news sources, it seems I'm seeing that phrase daily. However, I haven't seen much about Flip Teaching. Have you ever asked your kids what they did in school, only to hear they watched a movie for the entire period of Science class? Flip Teaching aims to flip the learning sequence. Instead of students watching a movie during class and going home to work on homework, they are doing the 'homework' in class, where they have assistance from the teacher. Wow! Do you think they read my mind? I can't tell you how many times my kids came home from school (in the short few years they were in a brick and mortar school, that is) and needed help with their homework. Telling me, "that's not the way my teacher did it," was pretty frustrating. Okay, so it was a few years ago when I took Algebra, but as I wasn't in the classroom when your teacher explained it, what's a mom to do? Flip teaching gets this. Amen to that. I'm a huge fan of Salman Khan of the Khan Academy, the educational site that offers free video teaching on just about any school subject you can think of. Khan is one of the advisors for TED, along with Melinda Gates. It's pretty exciting to watch this team of amazing leaders take the education community by storm. I say, bring it on!